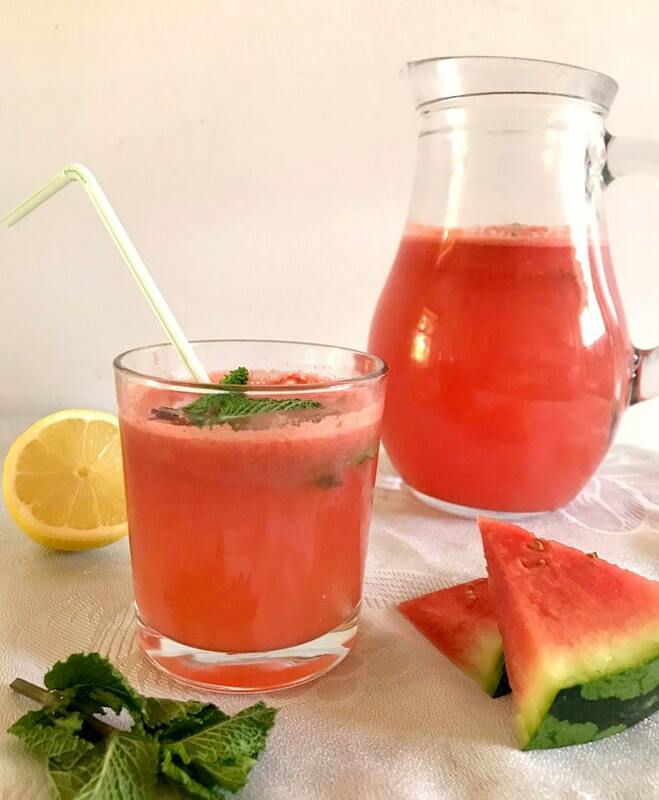 Watermelon Mint Lemonade, a refreshing non-alcoholic drink for a hot summer day. 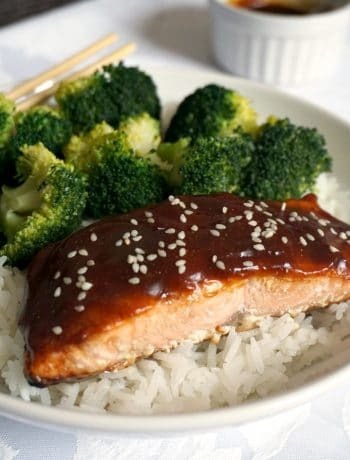 Very low in calories, refined sugar free, super healthy, and so delicious. This is my kind of drink! If you like a good old homemade lemonade, you will absolutely love this lemonade with a twist. I cannot tell you how much I like watermelons, there can’t be anything better in summer than a cold slice of juicy, well ripen melon. And if I say summer is because, well, they are kind of tasteless outside their best season. I never buy melons in winter, for example, even though some supermarkets might sell them. They really are tasteless, and I’d rather wait for summer and have a proper one, than waste money. But, give me a whole melon now, and chances are, it will be gone before you know it. Luckily, my daughters seem to share my love for watermelons, and they get very excited when we buy some. The little things in life, hey! 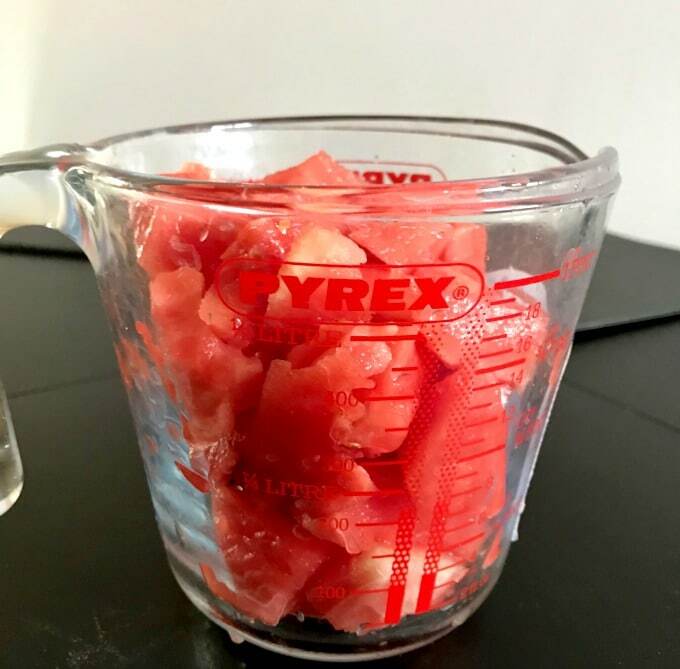 If you blend some watermelon, you will see that, comparing to a slice of melon, it’s not that tasty, actually. But throw some freshly squeezed lemon juice in there, a bit of honey, a bit of water, and some mint leaves, and oh, my God! THE MOST AMAZING SUMMER DRINK YOU CAN EVER GET! And I’m not even exagerating! Now, I know there is some debate about honey not being vegan. Well, let me tell you what I think about it. And if you don’t like it, well, though. I think it’s utter rubbish!!! How on earth can honey NOT be vegan? How? No argument can ever make me change my mind. There, I said it! Now, let’s move on! Anyway, if you are not happy about honey, I guess refined sugar can be used instead. I would just mix it with a bit of warm water first, otherwise it won’t dissolve as well in cold water. Same for honey, I used some warm water to help speed up the process, it really works. I don’t use mint as much in my cooking, which is a shame, really. It’s such a strong, aromatic herb, that simply transforms any dish it’s used in. I used to drink mint tea quite a lot before, but nowadays I usually stick to my good old Earl Grey tea. I had to buy a bunch of mint for this recipe, which means there is plenty left now, so, if you have some nice recipes with mint, please do throw them at me, I wouldn’t like to waste it. I usually freeze whatever herb I don’t need straight away, in order to keep them from going sad. I still waste way too much food, ingredients in general, and I really really want to stop doing that. It’s just silly, not to mention the wasted money on stuff that never gets used. Now, coming back to my watermelon mint lemonade. One big fat tip here is to let the drink cool in the fridge for at least 30 minutes before serving. I know ice cubes can be used instead if you want a cold drink, but leaving it in the fridge for a bit helps the mint leaves work their magic, the flavours are a lot stronger and intense. 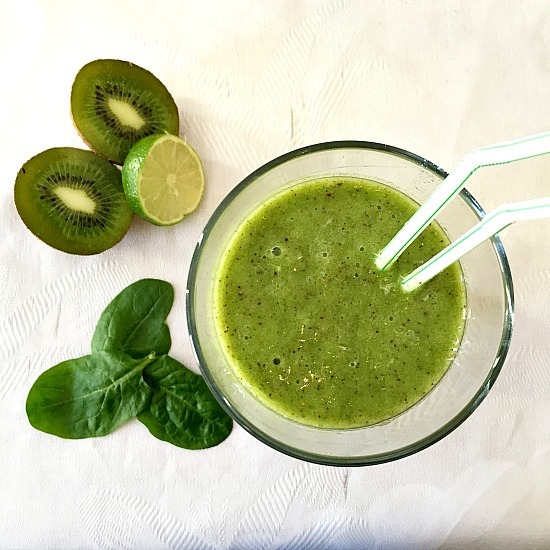 For more refreshing drinks, why not try my Strawberry Banana Smoothie with Coconut Milk or Cold-Busting Lime Kiwi Spinach Smoothie? 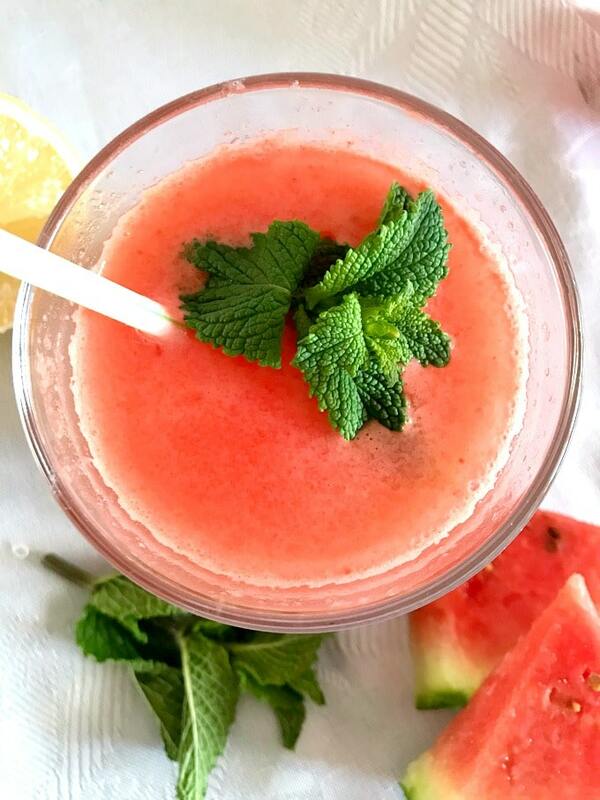 Watermelon Mint Lemonade, a refreshing drink for a hot summer day. 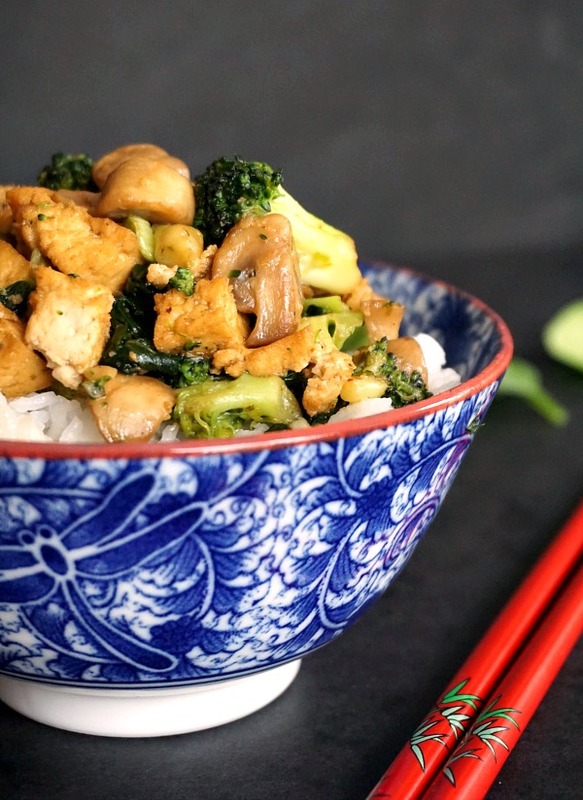 Low in calories, refined sugar free, super healthy, and so delicious. This is my kind of drink! 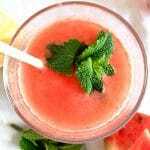 Blend the watermelon, than pass it through a sieve to remove any pimps that might be left, then add the melon juice to a jug together with the water. Mix the honey with a bit of warm water so that it can dissolve quicker, then add the lemon juice, and pour everything in the jug. Throw a few mint leaves in there, then cool the drink in the fridge for at least 30 minutes. Give it a good stir before sirving. Enjoy!